“Darling, can you please get the basil?” Scotty quips with a twinkle in his eye. Luke pretends he doesn’t hear the request, continuing to banter with the captive audience and add to his growing army of cacao and coconut haystacks. When pressed again Luke claims that he has no idea where the missing basil — or the refrigerator it may be hidden in — is instead handing Scott a spoonful of the chocolate mixture and changing the subject. Scott and Luke are as lovely as they are lovely (ahem) and the lighthearted banter continues on for the duration of the afternoon — a cooking class a Williams Sonoma for their first book Luke & Scott: Clean Living — providing a peek into the comfortable relationship between the two boys. Luke is the showman, all coiffed blond hair and sparkling teeth. While Scott seems more considered and introspective, ever-expanding body art that peeks out from the neck and sleeves of his shirt a hint as to why he won’t eat octopus. 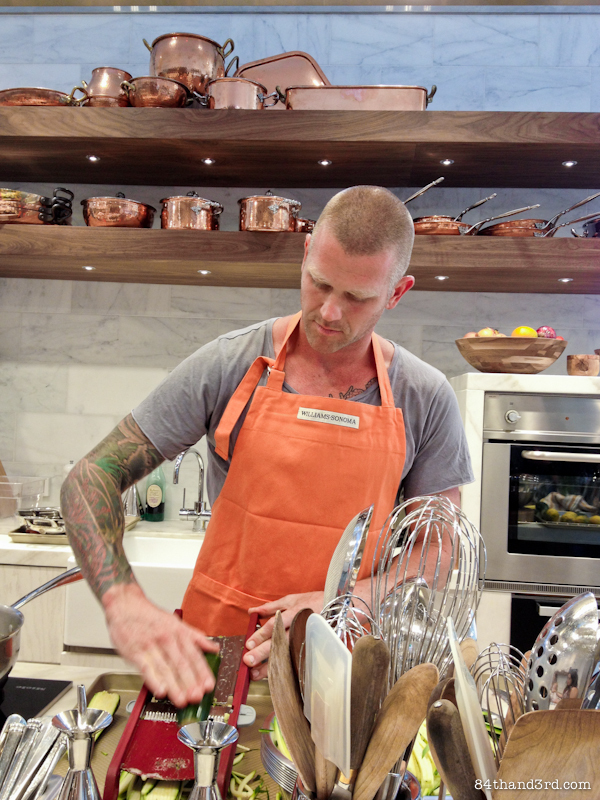 They are however perfectly aligned in their passion for cooking great tasting, healthy food and inspiring others to make a positive change in the way they live. 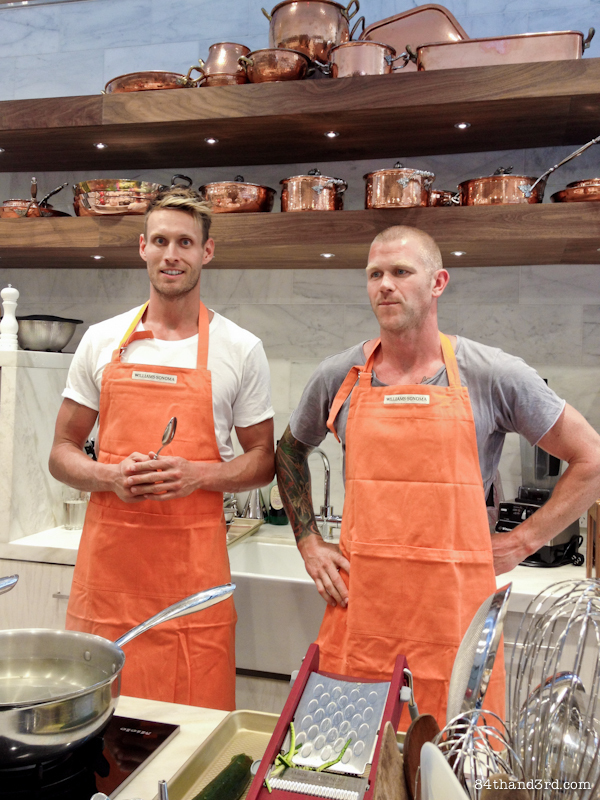 The personal trainers — who met years ago in a Bondi cafe, of course — aren’t shy about sharing that the reason they auditioned for the early 2013 season of My Kitchen Rules (MKR) was to raise their public profile. 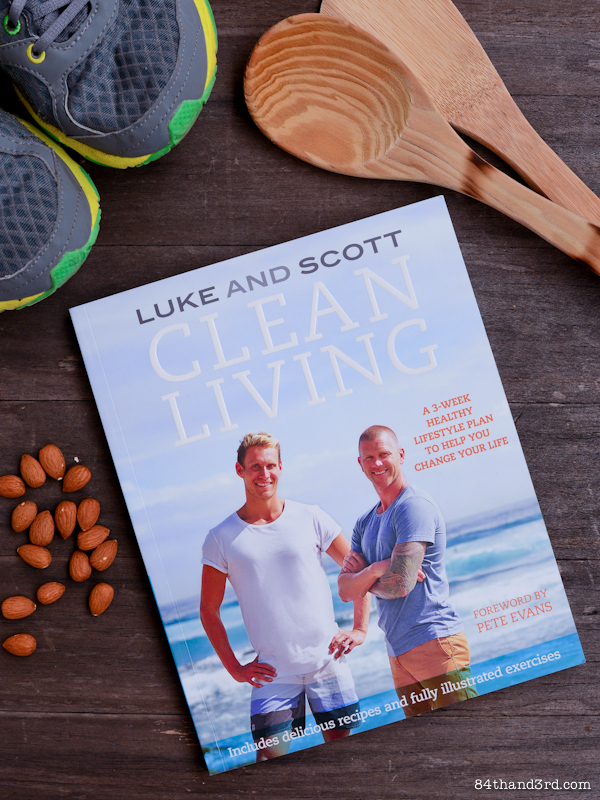 For Scotty and Luke it wasn’t just about cracking the celebrity scene but about reaching a wider audience for their message of clean living. 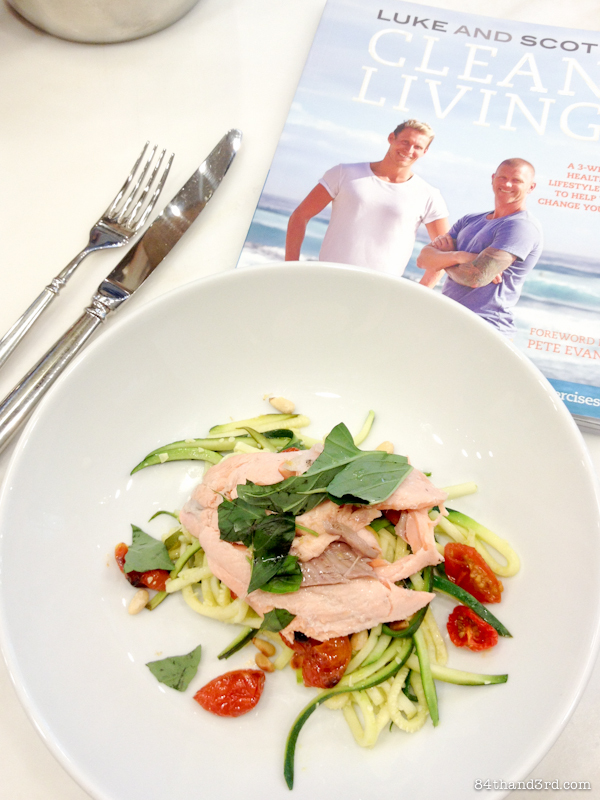 In Clean Living – a 3-week healthy lifestyle plan to help you change your life Luke and Scott first take you through their philosophy on eating, moving, thinking, recovering and staying motivated, before dividing their attention evenly into practical Clean Moving and Clean Eating sections. The exercises, shot near the beach at Bondi, are just as suited to a lounge room or park and require very little equipment. There are detailed explanations on how to perform each move, photos to support the descriptions and variations to increase the intensity. 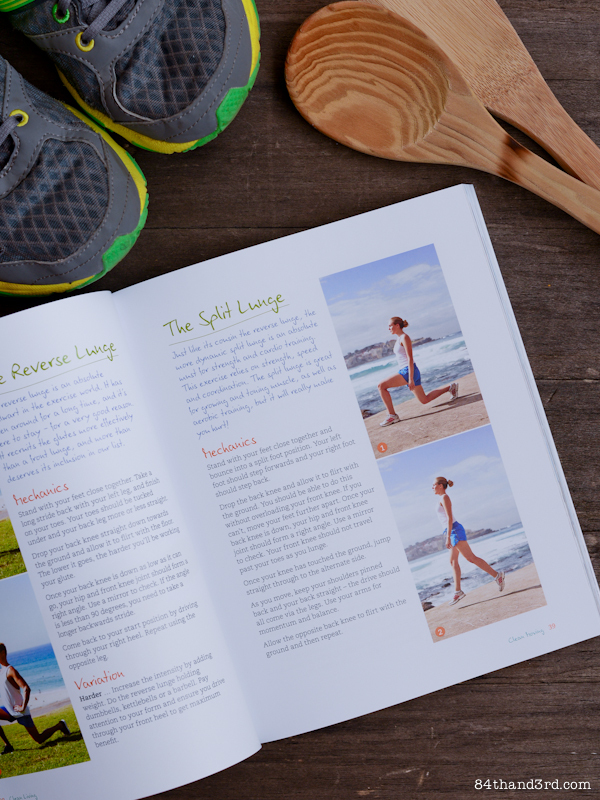 Moves are stitched together personal trainer style into 3 weeks of fitness plans at the end of the book, and none of the arrangements are overly arduous or time consuming. The approach reinforces the idea that it is really about getting moving each day and varying your exercises, not working out for hours on end. 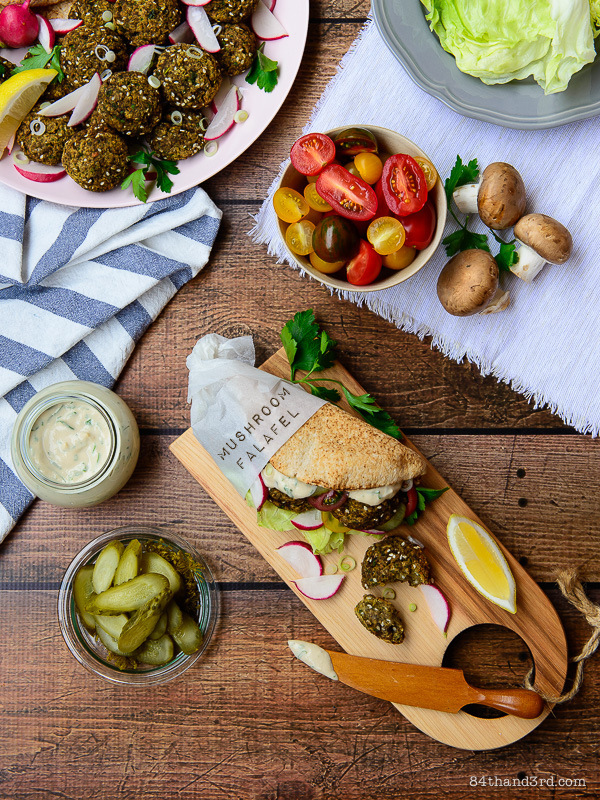 The recipes are simple and flavourful, using wholefoods and providing solid meals for any time of day. 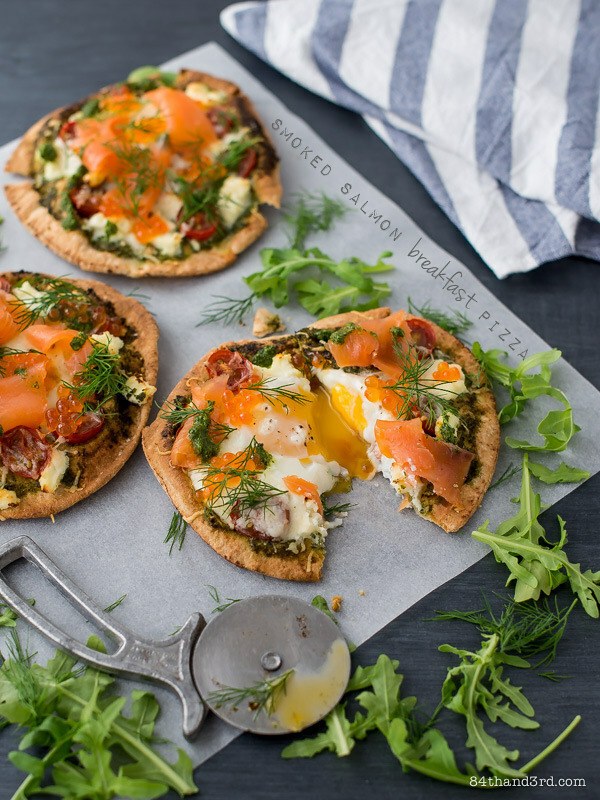 (It speaks to how I eat and I’ll certainly be pulling a few ideas from it to refresh our usual dinner rotation). 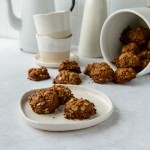 The boys are followers of Paleo eating and while the recipes included in the book reflect this, Clean Living is not about banging readers over the head with Paleo beliefs. 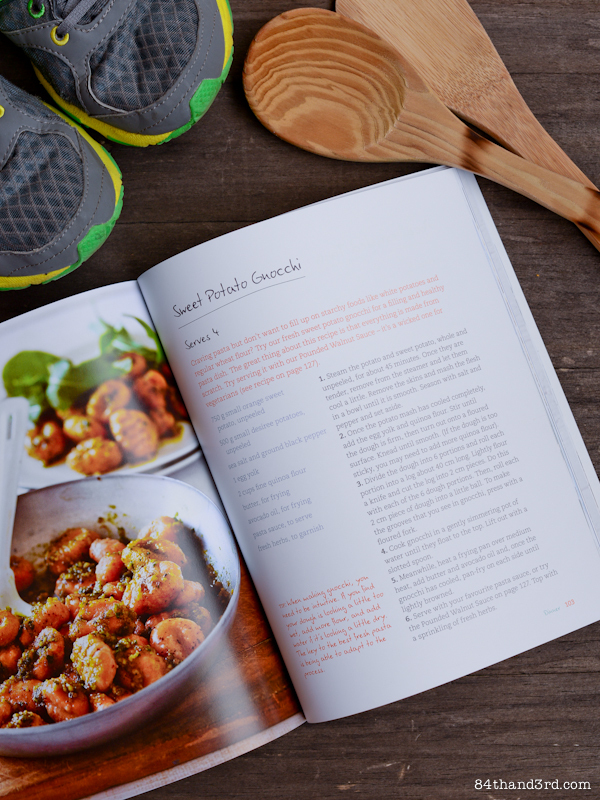 Menu plans also appear at the back of the book but if you aren’t a big meat eater (there a a lot of meat and fish recipes, reflecting on the Paleo diet approach) you’ll need to make up your own combos. On the other hand if you are gluten, grain or dairy free you’ll be spoiled for choice. 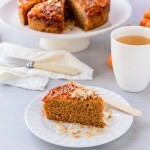 With the glut of no-guilt, paleo, no-sugar dessert books floating around these days the recipes in Clean Living are refreshingly lacking in an overabundance of sweet treats, focusing instead on nourishment. Imagine that. For someone wanting to kick into gear for summer this book is a great place to start. There is an online program in the works as well as a full Clean Living Cookbook due out in Februray next year. It is quite clear the time Luke and Scott spent on MKR had the desired impact, pushing them firmly into the spotlight. They don’t appear to be slowing down any time soon. Oh, and in case you were wondering, the rogue basil was eventually located and tossed through lunch at the last moment. Thank goodness. Using zucchini as pasta is one of my favourite tricks for quick and light summer meals. This recipe spikes the pasta with fresh lemon and tops it with poached trout. Barely adapted from Luke & Scott: Clean Living. Toast pine nuts in a skillet over medium heat, tossing to make sure they don’t burn. Remove from hot pan and set aside. Julienne zucchini using a mandolin, julienne peeler or food processor to create ‘noodles’. Blanch in salted boiling water, removing as soon as the water returns to a boil. Drain and toss with oil, basil, lemon juice and salt. Slide fish fillets into a pot of boiling water, remove from heat, cover and let sit 5 – 8 mins until trout is cooked to your liking. Drain and flake with a fork. 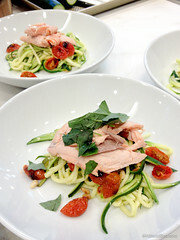 Serve zucchini pasta topped with trout, tomatoes and pine nuts. Roasted tomatoes: Cut cherry tomatoes in half, place cut-side up on a tray and drizzle with a bit of oil. Roast in a hot oven (200 C / 400 F) for 10 – 15 mins until tender and collapsed. Event attended as a guest, looking for a bigger disclaimer? Go for your life. Clean Living is published in Australia by Hachette. Yum that’s my kind of cooking. Looks delicious! I’ve been getting into raw zucchini ribbons for lunch but I like the idea of making zucchini ‘pasta’ too! Sounds like what we all should try to do….and not difficult.